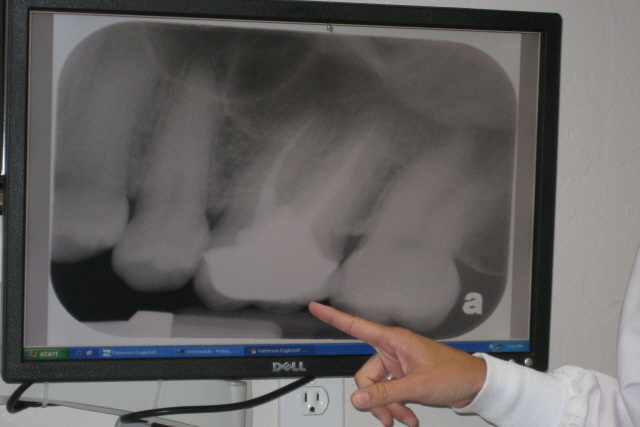 A full mouth series of dental x-rays is recommended for new patients. A full series is usually good for three to five years. Bite-wing x-rays (x-rays of top and bottom teeth biting together) are taken at recall (check-up) visits and are recommended once a year to detect new dental problems.